«Izvestiya Irkutskogo gosudarstvennogo universiteta». Seriya «Politologiya. Religiovedenie» («The Bulletin of Irkutsk State University». Series «Political Science and Religion Studies») publishes articles in theory, methodology, and history of different areas of political science; results of applied research on Russian and world politics; academic and methodological materials for lecturers and students studying political science, religion studies, and theology. Editorial board aims at preserving the journal as the platform for discussion on key issues of political science and religion studies, therefore, its content does not necessarily reflect the views of the editorial board. The basic task of the editorial board is drawing in authors from Russian and foreign research centers, which is successfully being implemented – percentage of authors from Irkutsk does not exceed one-third of the overall collective body of authors. Much attention is paid to discussion being intergenerational, hence authors with various background get published: old and eminent scholars, those with experience and striving to get to the top, and those only beginning their scientific career – postgraduate students, postgraduate degree seekers, and Master’s degree students. It is important for the editorial board to have authors who are practitioners – politicians, local media managers, members of the clergy. The authors take the responsibility for credible facts, quotations, economic data and statistics, proper names, geographic names and other information, as well as for appropriate use of information not intended for general audience. The content of the articles published in the journal is widely used as supplementary reading set for university students. The idea of designing journal topic guide is nurtured, making the best use of its materials in research and academic activity. The journal is available free of charge and by subscription. All articles received by the editorial board are reviewed. Series «Political Science and Religion Studies» are published quarterly on the journal website and the Scientific Electronic Library eLIBRARY.RU, the full texts of all articles are in open access. All articles published in the journal are tested for the uniqueness of the material and coincidence of the text through the "Antiplagiat" system and text.rucont.ru. The journal provides open access to published materials, for the use of which the fee is not charged. Use of materials of the journal for commercial purposes is not allowed. All materials presented in the journal are protected by copyright. All the articles are published in the journal under the Creative Commons Attribution-NonCommercial 4.0 International (CC BY-NC 4.0) license. Series was founded in 2007. Periodicity — once a quarter. Certificate of registration PI № FS77-60772 on February 11, 2015 was issued by the Federal Service for Supervision of Communications, Information Technology, and Mass Media (Roskomnadzor). 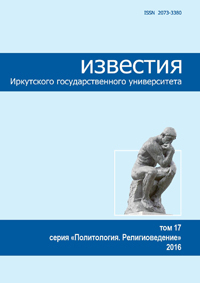 By the decision of the Higher Attestation Commission of the Ministry of Education and Science of the Russian Federation the series «Political Science and Religion Studies» is included in the List of Russian peer-reviewed journals where major research results of dissertations for the degrees of doctor and candidate of sciences should be published. 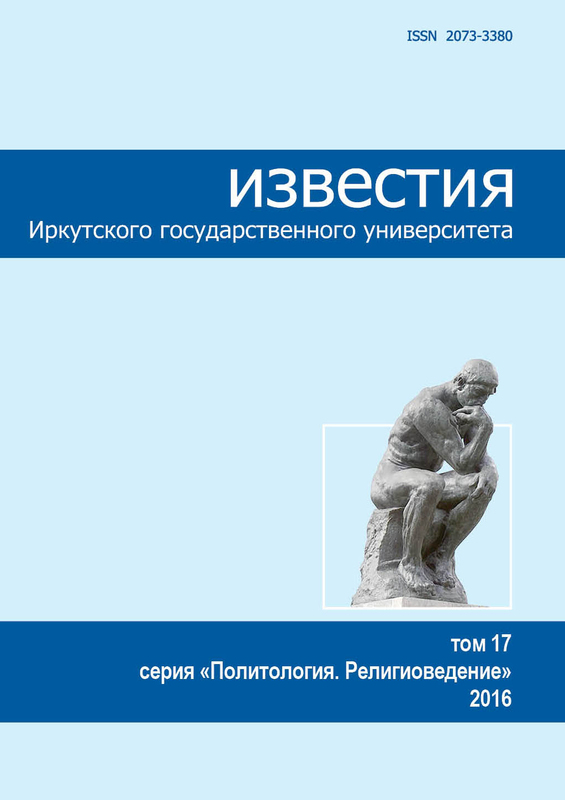 The periodical is freely available on the portal of the Scientific Electronic Library eLIBRARY.RU, Scientific Electronic Library CyberLeninka.ru. The series «Political Science and Religion Studies» is included in the database The European Reference Index for the Humanities and the Social Sciences (ERIH PLUS), Ulrichsweb Global Serials Directory, WorldCat. The journal is included in the specialized reference bibliographic service CrossRef. Starting from volume 23 2018, each article is assigned a DOI (digital object identifier).